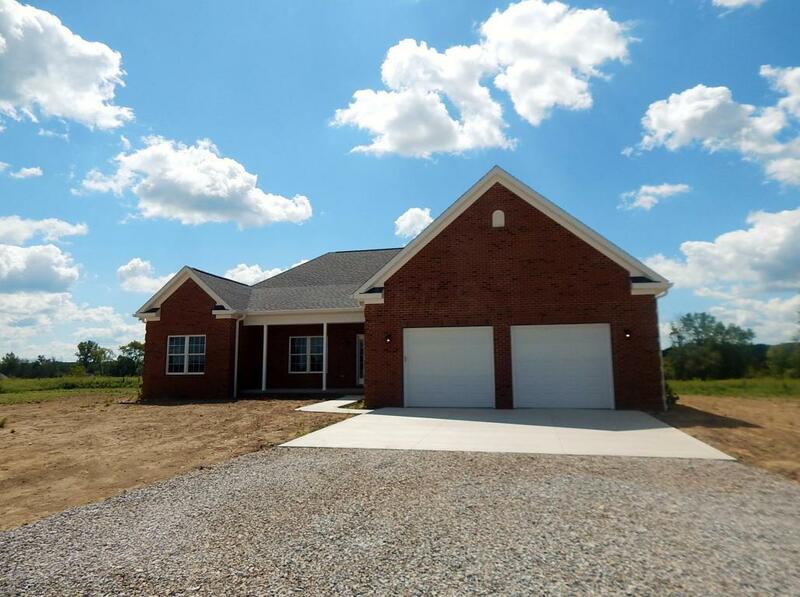 Don't miss this gorgeous new build on 4+ acre lot. You will LOVE the wood floors, the granite tops, the white trim and the huge great room that includes kitchen and dining all in one. Mud room has built in storage and the 1st floor laundry is tucked out of the flow of traffic. Spacious master suite with custom tile shower and dual sinks. 2 car garage has extra space on both sides and is deep enough for whatever you drive...and then some. Brick front and covered back patio and the biggest basement you have ever seen. This one checks all the boxes.